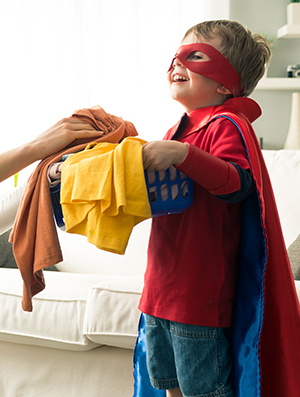 Lagarto, 100 years helping the Spaniards to improve their quality of life. 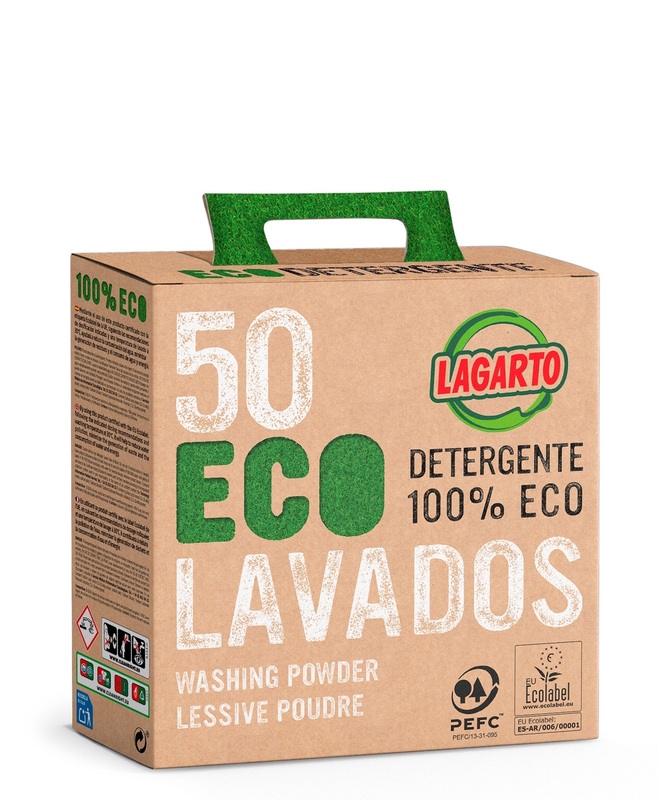 Lagarto dishwasher tablets all-in-one 100 u.
Lagarto dishwasher tablets all-in-one 40 u.
Lagarto dishwasher classic tablets 40 u.
Lagarto dishwasher tablets all-in-one 10 u.
Lagarto dishwasher classic tablets 10 u.
Lagarto dishwasher rinse aid 550 ml. 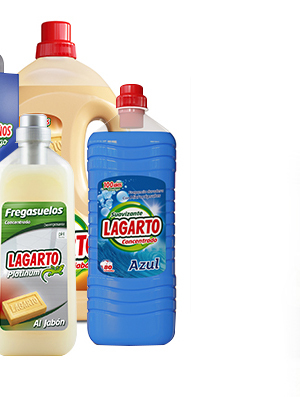 Lagarto washing-up liquid Ultra 750 ml. 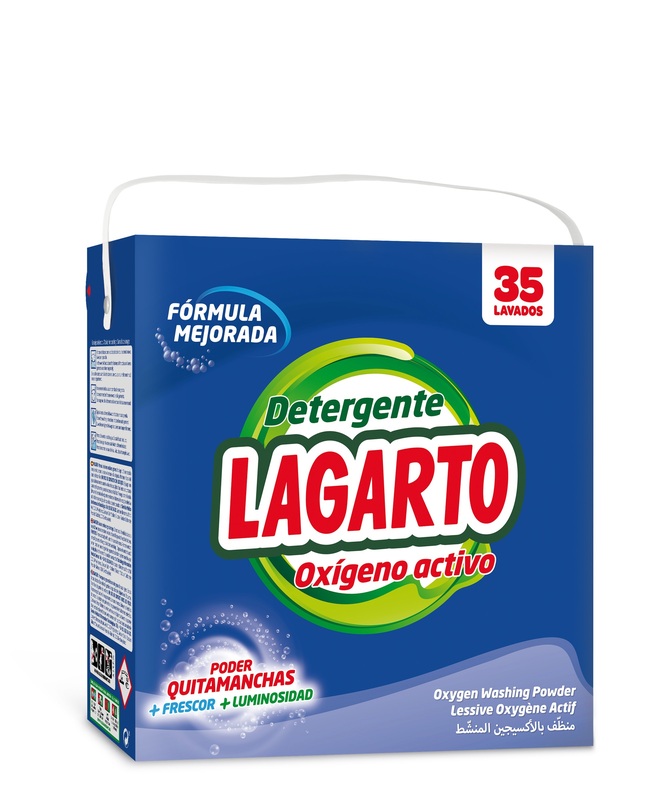 Lagarto washing-up liquid maximum hygiene 750 ml. 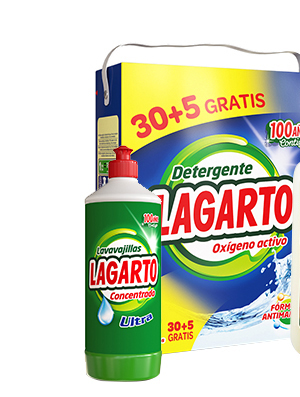 Lagarto washing-up liquid delicate hands 750 ml. Lagarto washing-up liquid aloe vera 750 ml. 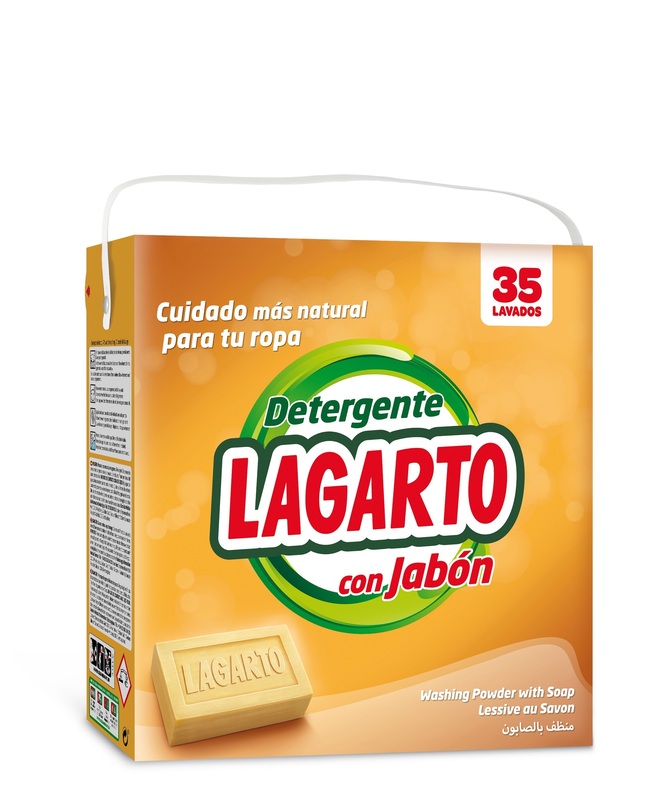 Lagarto washing-up liquid lemon-scented 750 ml.